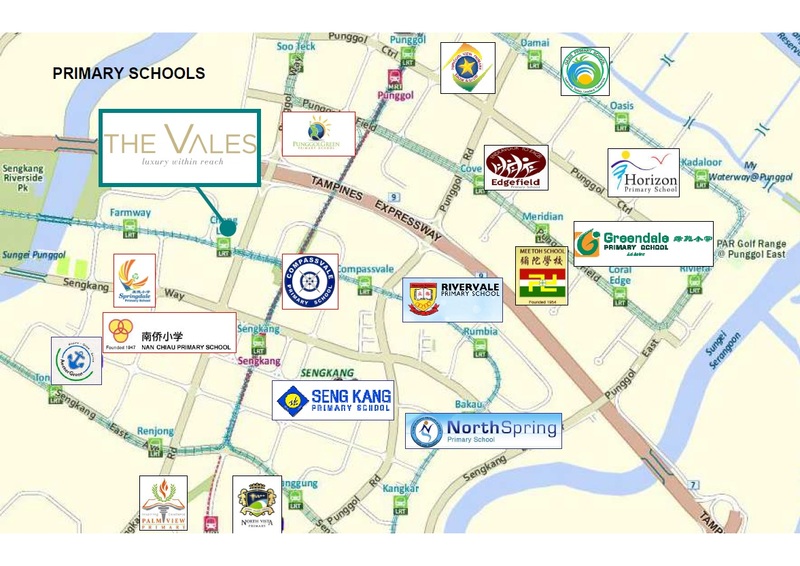 The Vales EC @ Sengkang is located next to Cheng Lim LRT which is 1 stop away from Sengkang MRT. Sengkang MRT is also just few minutes walking distance to the Sengkang MRT. From there, it is roughly a 20-minute ride to Dhoby Ghaut MRT, where you have Plaza Singapura and the entire Orchard Shopping Belt a short distance away. Serangoon MRT which is connected to NEX Mall, is four stops down. It is also where commuters can switch to the Circle Line. Seletar mall is just 4 stops away from Cheng Lim LRT. The area surrounding The Vales EC is mostly residential. The upcoming Sengkang Hospital however, is going to be directly opposite the development. 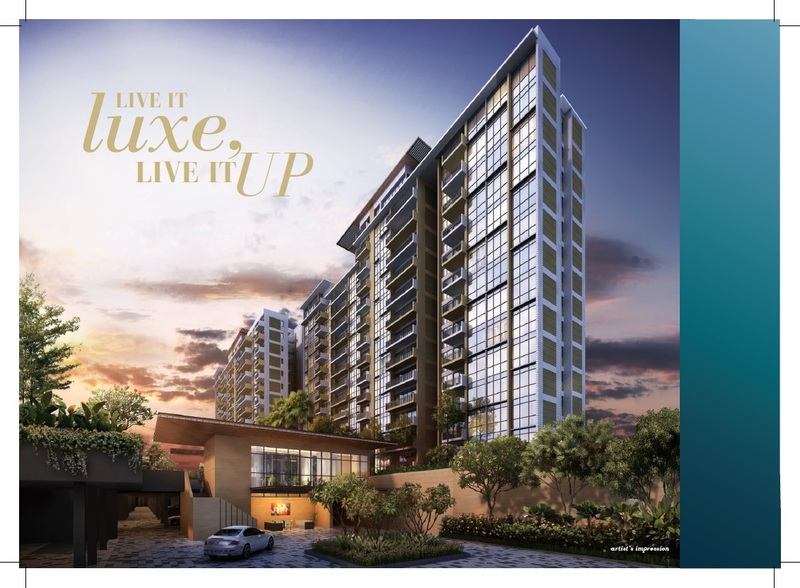 If you are driving, The Vales EC is just short drive away from malls Seletar Mall., new Waterway Point at Punggol as well as Changi Airport via TPE. Seletar Aerospace Park is just few minutes drive from The Vales EC. Seletar Aerospace Park is an industrial park in Singapore catering to the aerospace industries. Located in Seletar, the S$60 million plan to develop 140 hectares of land adjacent to Seletar Airport will further strengthen Singapore's position as an aviation hub. The development of the new aerospace park is geared towards delivering additional space for industry expansion, and complement existing aerospace activities at Changi North and Loyang. The first few tenants are expected to move into their new premises in the third quarter of 2010. Among the front runners are Singapore Technologies Aerospace, Jet Aviation, Airbus Helicopters South East Asia and EADS Innovation Works, all with plans to expand their current facilities at Seletar. On 20 November 2007, Rolls-Royce plc announced plans to build its first Asian aero engine facility in the Park, slated for completion by end 2009. The facility will complement its existing facility at Derby by concentrating on the assembly and testing of large civil engines such as the Trent 1000 and Trent XWB. It is expected to provide employment for about 330 people, out of a total of 1,600 employees based in Singapore. On 15 February 2015, jet engine manufacturer Pratt & Whitney officially opened its first Singapore manufacturing facility. 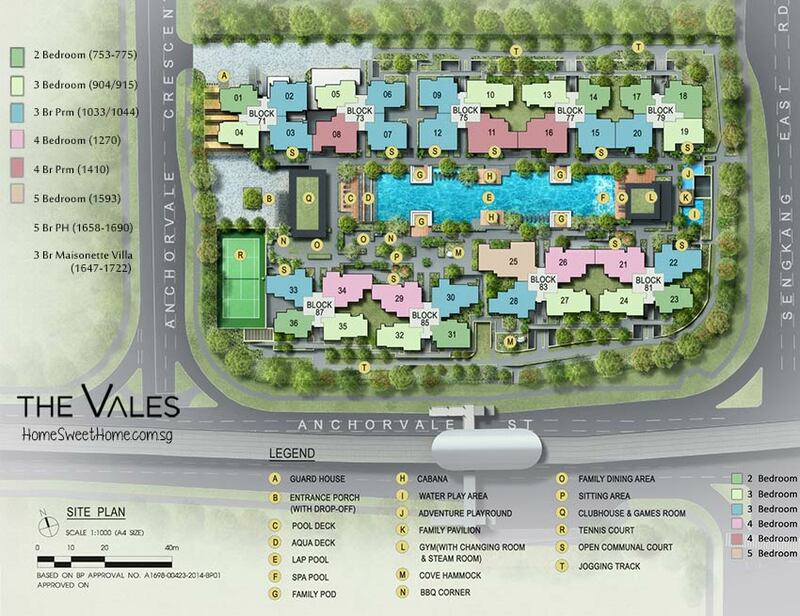 Posted in Singapore and tagged ec in sengkang, ec near mrt, the vales at sengkang, the vales brochure, the vales ec, the vales ec brochure, the vales ec floor plan, the vales ec sengkang, the vales ec top, the vales floor plan.